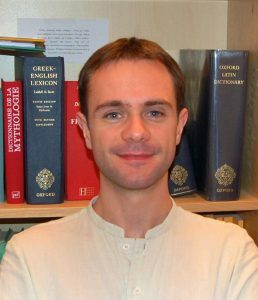 Aurélien Berra is Associate Professor at Paris-Nanterre University, where he teaches Rhetoric, Ancient Greek literature and Digital Humanities. His research interests include classical and digital textual scholarship, as well as the history, epistemology and pedagogy of DH. He is in charge of the seminar “Digital Humanities. Les transformations numériques du rapport aux savoirs” at the École des hautes études en sciences sociales, in Paris. He is also involved in Hypotheses a blogging platform for the Human and Social Sciences, in the European Digital Research Infrastructure for the Arts and Humanities (DARIAH), in Humanistica the French-speaking association of digital humanities and in the European Association for Digital Humanities (EADH).